Africa – Explored, Experienced & Enjoyed! We’re passionate about making unforgettable dream holidays in Africa come true. Our wide selection of enthralling guided holidays, tours and safaris showcases the many, diverse splendours of Southern Africa. Each authentic, completely hassle-free guided holiday experience takes in top destination highlights; and offers our guests safe luxury transport, excellent accommodation and fine dining, fully supported by professional, caring service. Springbok Atlas Tours & Safaris tracks its origins back to 1946 – that’s more than 70 years of enthusiasm and expertise invested in engaging travelling and touring in Africa, the world’s most adventurous, evocative and beautiful continent. 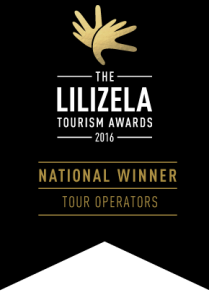 Today, we take pride in being one of Southern Africa’s most well-established and best-known quality tour operator. When it comes to safety and logistics, planning and execution, we leave nothing to chance. When it comes to exploration and experience, engagement and enjoyment we make everything possible!